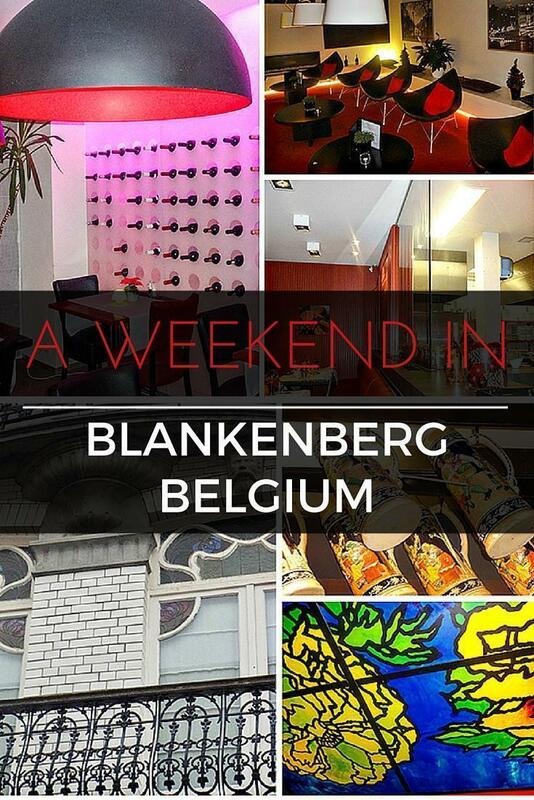 Monika shares a family weekend escape to Blankenberge on Belgium’s coast, including hotel, restaurant and activity options. Blankenberge surprised us in more ways than one. 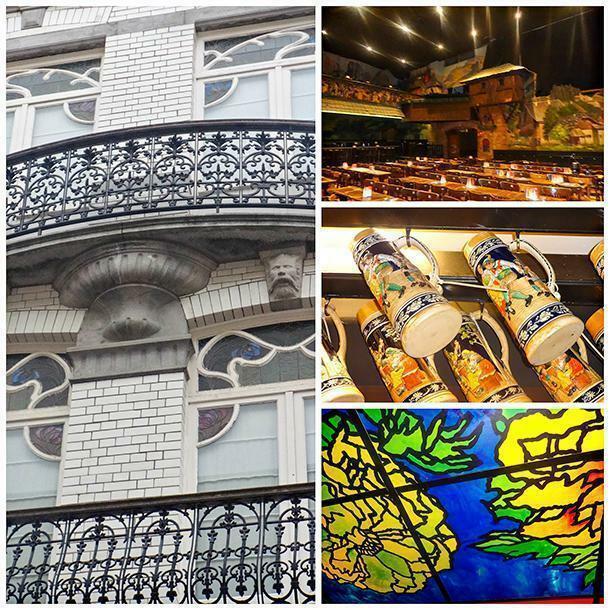 We had a wonderful time walking around the town and looking at the numerous Art Nouveau facades. 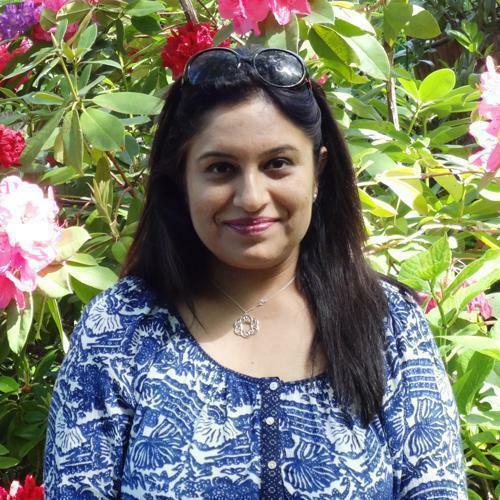 Since the city centre is within walking distance of the waterfront, exploring the town and uncovering clues pointing to the city’s rich history as well as seeing glimpses of the past fishermen’s lives was effortless. 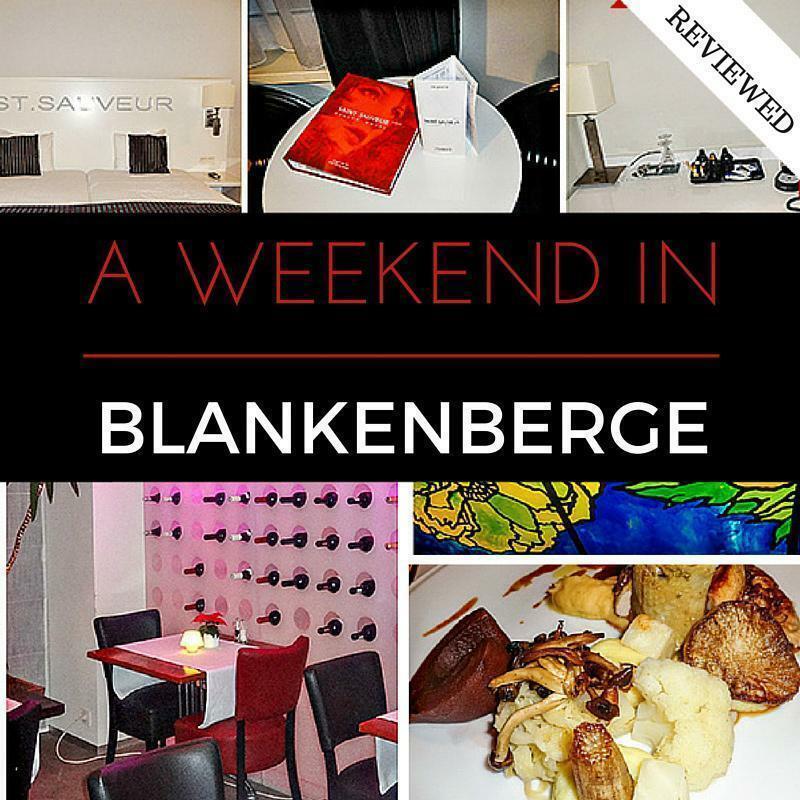 Blankenberge offers plenty of options for accommodation if you plan to spend some time in this lovely seaside tourist town. From four-star hotels to budget hotels and Aparthotels, the choice is immense. We chose a four-star hotel Saint Saveur, owned by the Het Witte Paard group, a home-grown hotel brand. The Art Nouveau facade of the hotel Pantheon Palace, also the venue of the Revue entertainment show (upper right). Saint Saveur is a well-located hotel, with decent rooms and a multilingual, courteous staff. The wifi services are good and they have parking nearby, at an additional cost. They also have a swimming pool for guests. 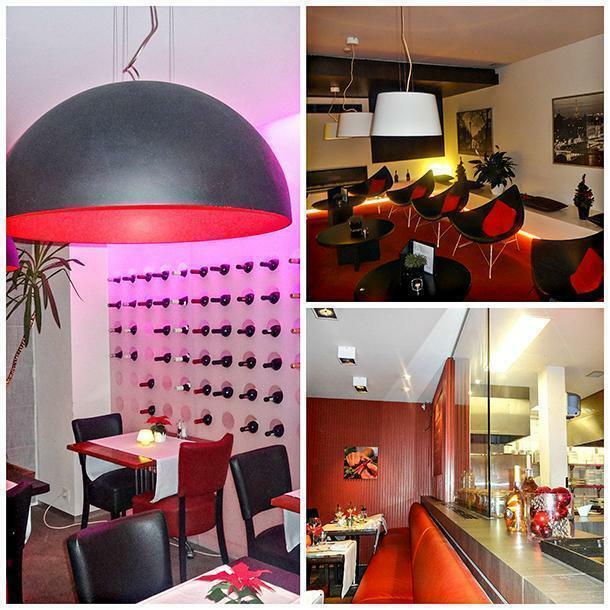 However, the best feature of the hotel is its restaurant, Starcx, which offers fine dining options. We went to sample the food, one evening, and were pleasantly surprised with the accomplished cooking and excellent quality of ingredients. The setting is modern and the red accent colour was perfect for the festive season. I took a fancy to their wine wall. The Merlot, which they served with the meal, was quite decent too. Restaurant Starckx, with the lobby of the Saint Saveur hotel (upper right). My little one chose chicken nuggets and they came with a serving of salad and fries. The nuggets were crackling and crisp, the salad was fresh, and one obviously can’t go wrong with fries in Belgium. My other half favoured a preparation of a sea bass, served with an artichoke sauce, buttered mashed potatoes, and vegetables like yacón and cauliflower. The yacón is a tuberous root, with sweet undertones. After digging deeper, literally (yacón is a root vegetable) and figuratively (putting Google to use), I learned yacón, also known as Peruvian ground apple, is traditionally grown in South America. The sweetness of the vegetable, with the artichoke sauce and the parsley flavoured fish was indeed a delight. I decided to be a bit more adventurous and ordered the pheasant, served with a delicate red wine sauce. The pheasant was tender, with the juices still intact and sealed in, an example of the finest cooking skills. The dish came with mashed potatoes, artichoke sauce, sauerkraut, poached pear and vegetables like yacón (yes, again) and cauliflower. The presentation and the quality of the food were superlative, however, I felt there was too much happening on my plate. The focus should have been on the pheasant, which was excellently done; whereas several other accompaniments were trying to steal the thunder from the poor bird. However, the meal itself was a wonderful gastronomic experience and we were so stuffed we decided to give the desserts a miss. The food is priced appropriately. It doesn’t come cheap and is also not frightfully expensive. Both, the restaurant and the hotel are professionally run, with a strong sense of family clearly visible in the establishment. 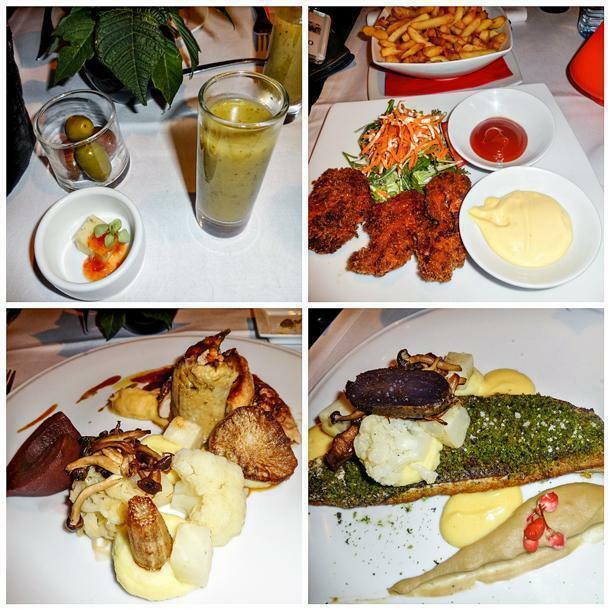 Beyond the glorious history, Blankenberge was quite a revelation in terms of food. We ate well even in nondescript places; I had the best carbonnade a la flammande in a restaurant called Den Ouden Ambacht, near the coast. Blankenberge also has a casino, if you develop a case of itchy fingers, and boasts Belgium’s only serpentarium. Blankenberge offers a perfect getaway from the city life and can be visited almost all year round. Do try the Belgian coast, even if you have heard otherwise!